Robert Kaufman My ABC Book. ADZ-16624-200. Adorable Vintage look ABC panel to make for your little one. 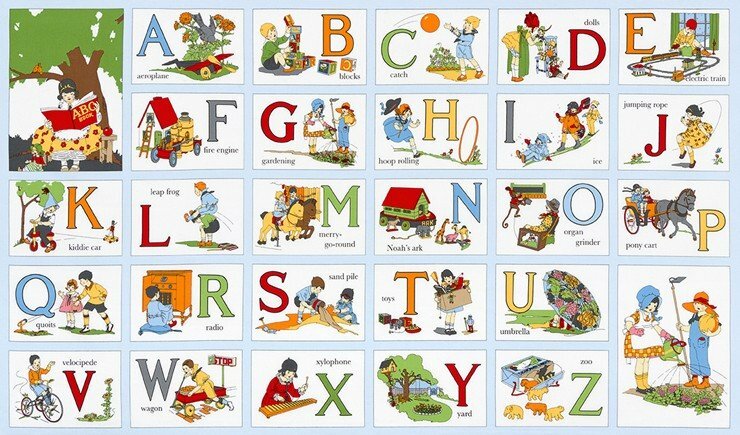 Each 24" panel includes the 26 letters of the alphabet beautifully illustrated.